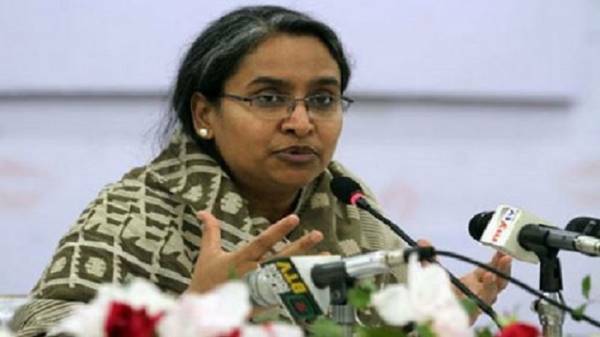 Education Minister Dipu Moni said that, many times it is seen that if the students do not have private or coaching to the teachers, they will be dropped in the exam. It is very immoral. We have to come out of this culture. She said this at a general meeting organized by the former student association of Carmichael College at the Engineers Institution in the capital on Friday morning. For teachers, Dipu Moni also said, we will not have to sacrifice blood for implementation of Vision 2041. As our warriors gave blood to the war of 1971. Just love the country a little. Exercise the vows conferred on himself. Education Minister said “Our independence achieved with the highest price of sacrificing three million lives in 1971. They dreamed of a developed and affluent nation. The government of Sheikh Hasina is working to implement Visionary 41 to build the developed country. Extensive development is going on in almost all sectors of the country. All our development will fail, if we cannot teach our children a quality education. Because education is the core development. Teachers should play the main role in this regard. President of Carmichael College's former student association Chowdhury Khalequzzaman presided over the meeting while Carmichael College Principal, Professor Dr. Sheikh Anwar Hossain presented as special guest, Joint Secretary of the Ministry of Home Affairs and former student of Carmichael College. Jahangir Alam also present the meeting.